In 2000, Dr. Humphrey graduated from Bastyr University where he met and practiced with his mentor, Dr. Richard Bartlett the creator of Matrix Energetics. 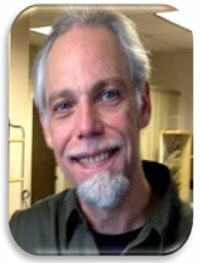 He has been practicing Naturopathic Medicine in the Pacific Northwest area for nearly 20 years. He blends the philosophy that nature is the most effective healer with current research on health and the human body. He is able to help many of his clients with pain relief, emotional stress, acute trauma, chronic diseases, fatigue, plus many more conditions. He does this by channeling Scalar Energies that gives his clients instant results. He is considered an Integration Therapist / Advanced Energy Healer, and uses a variety of tools in combination with different energy forms; such as selenite wand, copper wand, alchemy energy disc, and Keshe magnetic gravitational wand, just to name a few. In 2014 he developed his own system of healing based on his knowledge and training. Past Life Attachment Clearing, a vibrant & dynamic energy field. His email is: drtoddnd@gmail.com or telephone: (206) 669-0366.